As much as we hate to admit it, we are not going to live forever. Your or your spouse’s death will be a devastating emotionally time for your family. Do not let it become a financial catastrophe as well.Gerry and I both have life insurance. Life insurance can add a great peace of mind to your family in the event of your death. There are many types of insurance that is available and it can be challenging to find one that suits your age and the stage of your life. Many life insurance come with terminal illness cover, which means that the payout occurs at the time the terminal illness is diagnosed and not at the time of death, making that difficult time a little easier financially. None of us believe that we will be critically ill, yet it happens to millions of people every day, therefore many choose to add a critical illness cover to their insurance. The insurance will pay out a predetermined amount if you get diagnosed with a specific illness listed in the policy. This is wonderful as it allows you to take the time you need to get better, as opposed to being constantly worried about the bills, and it can even pay for any extra medical help that you may desire. Many peoples main worry is what would happen to their home in the event of their death. Today’s homeowners are usually saddled with pretty hefty mortgages that will need to be paid off, if the policy holder passes on. Mortgage term assurance is a relatively inexpensive solution designed to help you pay of your mortgage in case of death. Alternatively mortgage decreasing term assurance is meant to protect a repayment mortgage so that the amount that is covered decreases as you mortgage decreases. Don’t let your age deter you from purchasing life insurance. There are over 50's plans that are designed to be affordable and helpful to the older population. Increasing plan allows for a cash sum pay out without any medical or health examinations, and is reviewed every year, to keep up with inflation etc. A fixed plan is great for those on a budget, and the monthly premiums are also fixed. As your life changes so do your life insurance needs, and a good provider will help you adjust your terms. Remember, the game of life is filled with surprises, so it is best to come prepared. 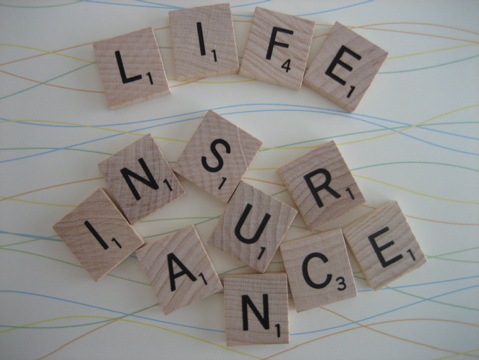 If you want to read more interesting articles and up to date information on life insurance in UK, i would recommend reading this blog. While a life insurance is designed to remain for your entire lifetime, there are circumstances where people consider surrendering their life term insurance to gain access to the cash value. Depending on your particular needs and situations, this may not be your best option. It is well worth to know the consequences and alternatives of surrendering life insurance policy.